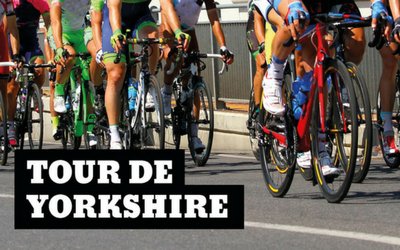 The countdown is on to Yorkshire’s biggest event – the Tour De Yorkshire, and we are getting excited at Broad Street Plaza. On the Sunday 6 May, the last day of the race, we will see the cyclists starting the very last phase of the tour from our very own Halifax – so to celebrate we are hosting a large screen at the Plaza on our courtyard alongside outdoor entertainment. You can keep refreshed with food and drinks from our restaurants. Throughout the day, there will be a marquee outside, serving tea and coffee, children’s lawns games and rides. We have a range of exciting offers at the plaza for the bank holiday weekend, so be sure to keep an eye on our offers page to get a great deal on a fantastic day out for the family.